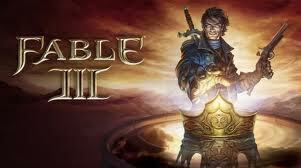 This Lionhead Studios game Fable III is now available to the PC! While it has been on the Xbox 360 for ages, it only was released to PC users in the last couple days. It’s an excellent RPG, but it didn’t transfer so well to the PC, as it is a Xbox360 port after all. That doesn’t mean you have to put up with all the problems often littered within ports. We can help you fix these Fable III game problems so that the game runs more natively. Unfortunately, to get passed this annoyance you have to ensure that you both truly have the same files — DLC and all. The other person must uninstall the DLC — or you must — in order to play together. HOWEVER, this may cause the saved game data to be unusable…So you may have to start over then. This wasn’t a problem in Fable 2 oddly enough. — Turn OFF VSYNC through the game menu and instead run it / force V-SYNC on through your graphics card (GPU) Control Panel (NVIDIA Control Panel or ATI Catalyst Control Center)! This will help bypass the 30fps cap / limit and get rid of some of the blurring! — If you use NVIDIA 3D VISION, then uninstall it! The NVIDIA 3D-Vision driver component is notorious for causing significant drops in performance! — Turn off shadows. Alternatively, if you wish to keep shadows ON, then you may want to also keep VSYNC enabled as shadows can act up depending on your settings. Experiment and find out what works best for you! If your game won’t unlock or is having the error message “This game is currently unavailable. Please try again at another time” then there’s not much that can be done other than contacting Steam Support. If anyone else has a solution for this, let us know! You may end up having to just download the game. This is most common when you get the game outside of your own region, such as if someone gives it to you as a gift. It’ll show Pre-load as an option instead of Play. Note that this is most common during the initial release date and hopefully will decline as time passes. Annoyingly enough, and as with every game downloaded through Steam, you may be experiencing the typical problem where the Steam decryption process is stuck at a percentage. You can try downloading / redownloading the game to attempt to fix the decrypt problem. You can also try downloading from a different server / area. They’ll be in a folder with random numbers and letters. I recommend making copies of this folder every now and then on the off chance you do get a corruption in your save file. Perhaps one of the most unwelcomed game effects used often in Fable Three is its over usage of the blur affect. It helps people not notice the frames per second cap. If your mouse isn’t working, then it could be from a 3rd party program interfering with it. Xfire is known to cause problems with Fable 3, oddly enough. Close xfire if you have it open and then reopen the game. — Reinstall Microsoft Games for Windows and Windows Live Essentials (GFWL / GWL / WLE). You can repair Microsoft Life Essentials via the Control Panel instead, but try reinstalling completely if that does not work. — After reinstalling GFWL, copy the xlive.dll from C:\\Windows\\System32 and paste it in \\Steam\\steamapps\\common\\fable 3\\ to fix the xlive.dll error. Try registering it if necessary with the CMD from above. Note: That you should run things in admin / administrative mode! Issues with crashing are sometimes from lack of permissions, which doesn’t occur under administrator mode so try that if you experience a crash. — Sign in to your account and redeem the code! You can then download the items. This game plays fine in a crossfire / xfire and SLI configuration. A hotfix for NVIDIA and ATI cards may be around the corner to help them handle this game with more optimization and ease. This entry was posted	on Saturday, May 21st, 2011 at 4:12 PM	and is filed under . You can follow any responses to this entry through the RSS 2.0 feed. You can leave a response, or trackback from your own site. I get over 100 fps on average and over 70 fps in towns with every setting maxed and vsync off. I think the problem is people trying to game on 5 year old walmart pc’s and expecting to be able to play new games on high settings with great framerate. playing one 470GTX,Core2Duo OC 3.2GHZ, 4GO DDR2 RAM. stupid kids like you buy 1500$ computers solely because youre an entitlement ****** who wants to sit and brag about it online, i can run crysis 2, witcher 2 with high FPS, this game lags like dog ****, and looks like dog ****, its poorly made. Im having issues with the game just freezing on me. The sound continues to play, but i lose all control and have to force quit the game. Any Ideas? well Rofl Said it and i agree Brian while you were spending that money on your crappy PC your mom was Under my desk making mine run faster muahahahahaha. This game lags on everything. im running it on core i7, Ati R5970, 6 gig 2000mhz ram. Im not experiencing lagging issues when they are maxed. I just get random crashes after a hour or so of playing. then after 3 or 4 or so crashes it’ll say its corrupted and i cant open it… very annoying…. Tried the ‘Main Executable has stopped working…’ solution and it still frequently crashes, especially if I’m trying to get to Silverpines, Bowerstone Old Quarter and Sunset House. these three locations always crash my game and it’s driving me nuts. Also trying to load a previous same game will result in this crash. Lionhead MUST bring out a patch for this! Games are not made for old PC’s, but I play all my games on max settings well for one thing how old are these games. Allot of new games made not only require a good card, but a good CPU together giving an excellent game play experience. One thing that isn’t a good system is any store bought one all the PC, and laptops on sale are old-stock and far from high end; and most users get either Tier 2 if there lucky, but more then likely tier 3 graphic cards. OK so your system works fine until it runs one of these new games well if you up graded your card but didn’t do the same to your power source then there’s one example of the reason a great game isn’t working on your system; so no matter what you say about a game the majority of the time most users are ignorant of the fact their system just isn’t cut out for anything better then solitaire. Perhaps you should play less games, and focus more on your lack skill in the English language. i got 0x80096010 error .. at the phase when the windows configures the game … !? a lot of people think its their pc but i found out that its the game causing the problems. it doesnt have the support for new video card drivers. im running 2 evga geforce gtx 260 cards in sli mode and a amd fx 4100 processor. i can play skyrim on high settings no problem but i can not play this game unless i install my original video card drivers.